All lanes of I-95 are back open after a serious crash in the southbound lanes near Allegheny Avenue. PORT RICHMOND (WPVI) -- All lanes are back open on I-95 South in Philadelphia after a serious crash near Allegheny Avenue. It happened before 9:30 a.m. Wednesday. Video from Chopper 6 HD showed more than a dozen firefighters surrounding a blue vehicle with extensive damage to the hood and windshield. All lanes are back open on I-95 South in Philadelphia after a serious crash near Allegheny Avenue. The firefighters appeared to be working to free someone from the wreckage. One lane of traffic was getting by on the shoulder. Traffic was backed up for several miles approaching the scene. The crash was cleared after 10 a.m., but delays remained. 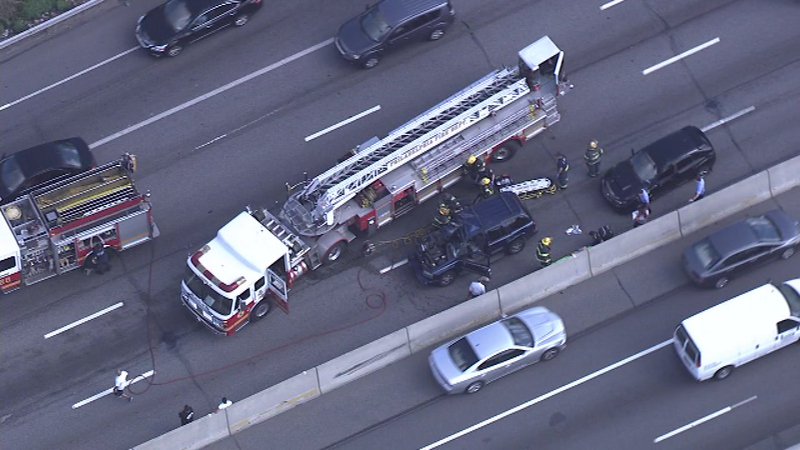 A serious crash caused delays on southbound I-95 in Port Richmond.